A 30-year-old man was rescued about 100 feet down a San Francisco cliff early Friday morning after he told officers at the scene that he got caught in the high tides. "I'm grateful," the unidentified man said on scene, behind a house in the 200 block of El Camino Del Mar. He appeared cold and disoriented after a fire battalion chief said he was out there, clinging to a rock off the Pacific Ocean for a couple of hours. "I got caught in the high tide," he said upon being rescued by firefighters and police about 1 a.m.
A 30-year-old man was rescued about 100 miles down a San Francisco cliff early Friday morning after he told officers at the scene that he got caught in the high tides. Bob Redell reports. 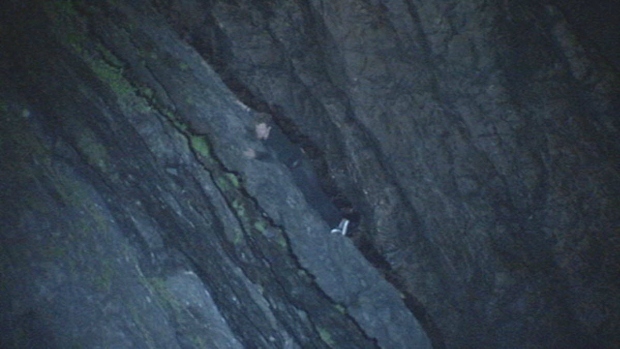 Video at the scene showed him pressed against a cliff, wearing dark pants and a sweatshirt. "He was hanging on and screaming for help," San Francisco Battalion Chief Denise Newman said. "He's cold, he's exhausted, but he's alive," she said. Thursday brought huge king tides around California and gusting winds of up to 50 mph. 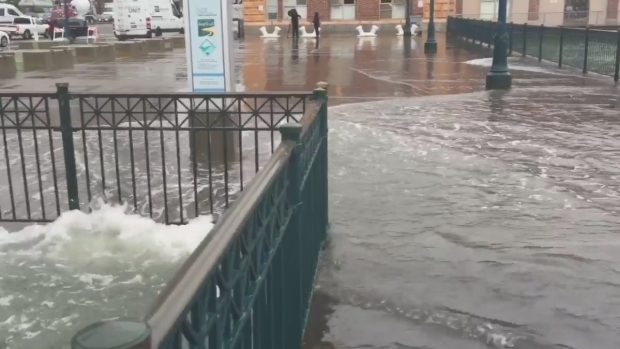 For example, king tides and rain flooded the Embarcadero with water from the bay sloshing up onto the sidewalk. What he had actually been doing before he was swept up by the tides was not fully explained.